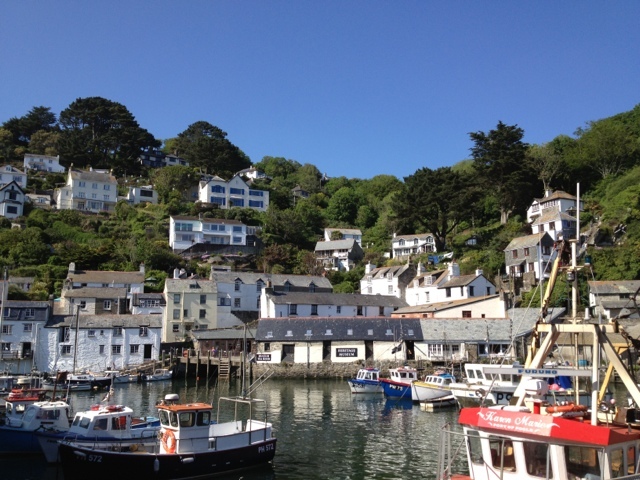 We're in the historic fishing village of Polperro, Cornwall. It is quiet here and the perfect salve to soothe our weary urban souls. The shops are all shut tight by 5pm of an evening and you'll struggle to find too many pubs or restaurants open after 9pm. 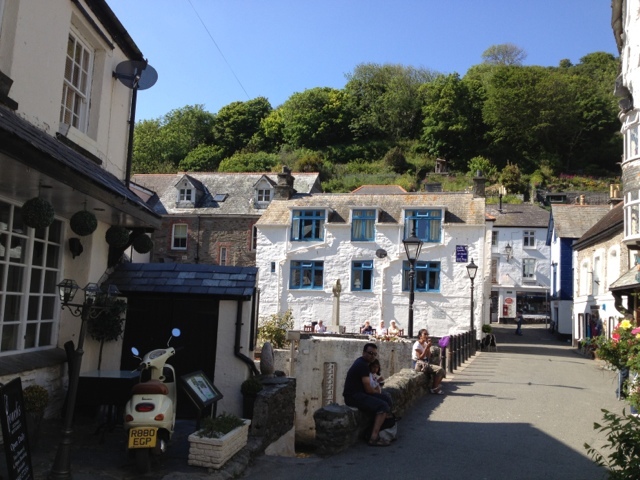 I find that I surprise myself in Polperro. In our first couple of days, we have intermittent access to wi-fi and far from being concerned by this, I am delighted. I take great satisfaction in the opportunity to switch off, disconnect and unwind. I curl up for hours with my book and take long, luxurious afternoon naps. We eat, talk and take long walks in the afternoons. We catch the tiny little tram down to the harbour (for the nominal fee of £1) and wander around in the late afternoon sun. 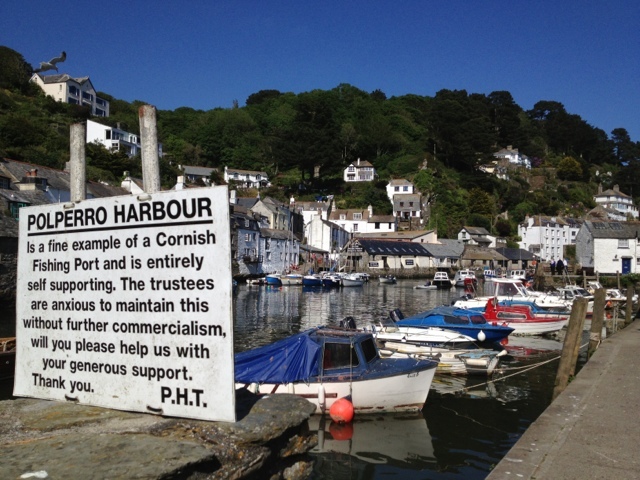 There are no chains in Polperro, none of the national brands or tacky coffee shops that you'll see across the country. Rather than feeling tired or sleepy, this stand against commercialism makes the village charming and enchanting. Most of all, this tiny village is unspoiled. I last visited Cornwall in 1989 when my father lived here and I recall this feeling of being at home, of feeling that I could live here. 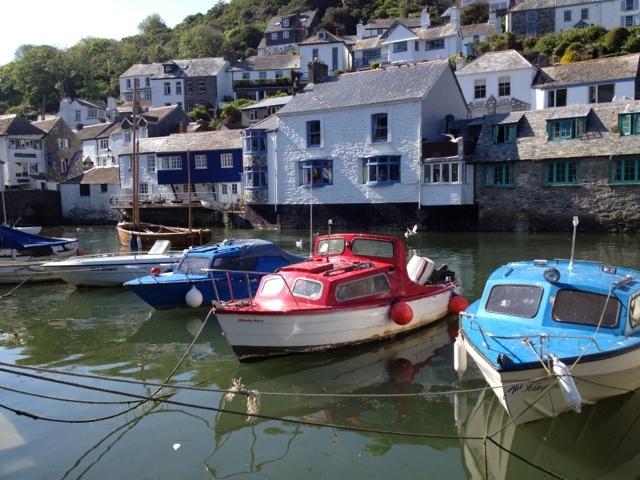 The west of England is blessed with miles of exquisite coastline with natural harbours and tiny seaside towns. 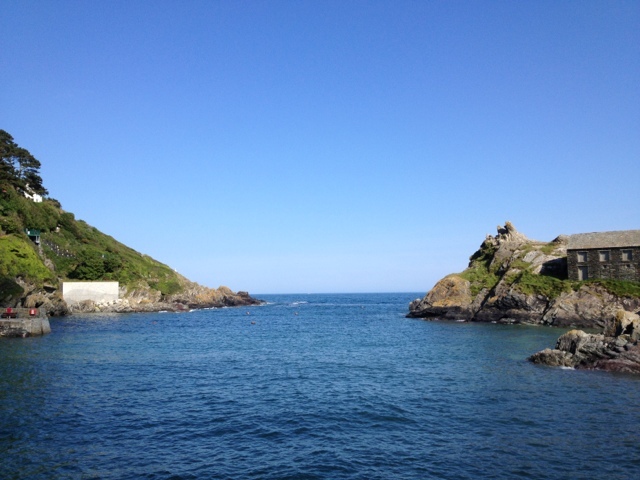 I won't mislead you, it rains a lot here but when the sun shines, Cornwall is glorious. The people in Cornwall are friendly and welcoming and absolutely pet friendly. 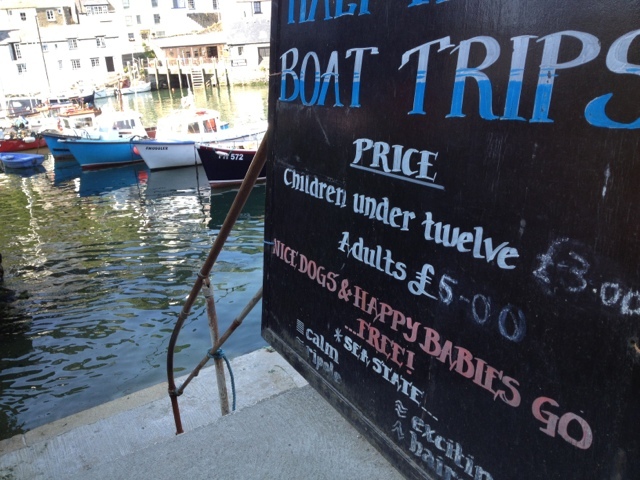 Even nice dogs and happy babies can travel for free on a boat trip out on the sea! We note dryly this excludes certain badly behaved and bad-tempered dogs waiting at home for us. 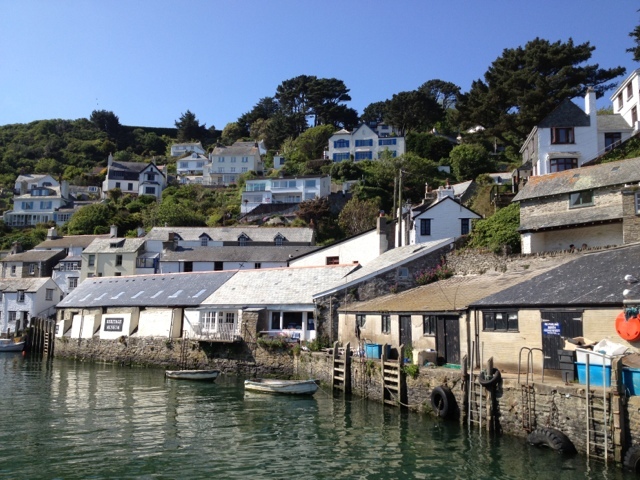 We take a moment to pause and look up to the houses overlooking the harbour. We wonder what it must be like to live there, to witness the bright, endless days of summer or unforgiving, violent storms that rattle through the boats and nets below. I find myself tempted to take a boat ride, resolutely ignoring the tiny voice that tells me this is a Very Bad Idea Indeed. I promise myself that I have the whole week to make up my mind and anticipate the long week of relaxation ahead of us. This city slicker is finally at peace and grateful to take a step back from the commotion of London living. It feels good to regroup and to spend time with family. This feels different from my usual travel experiences with less focus on photography and exploration but sometimes that is okay too. When was the last time that you truly took a step back and relaxed? Do you struggle to wind down after working too hard in the city?